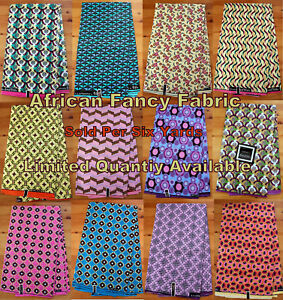 afrolinkstextiles has no other items for sale. 1. Any of the prints should not be reproduced or reprinted without the prior permission. 2. All listings are unique and will not be allowed to copy. 3. We have no control over the delivery timings as they are done by third party couriers. 4. Please allow extra time or request faster delivery service if you want your items delivered quicker. 5. Buyer can collect their items free of cost from the business address provided. But there will not be any discounts where item has free postage offered while you collect in person. 6. All buyers are requested to contact before raising any issues with Ebay management.